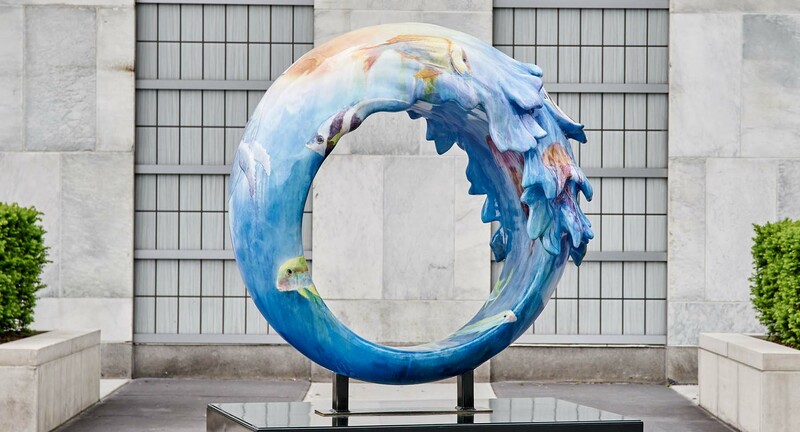 Partnering with beauty brand La Mer, Project 0, an oceanic conservation organization, brought together some of the world’s most influential artists, designers and culture-makers to create their own wave-inspired, charitable works of art. 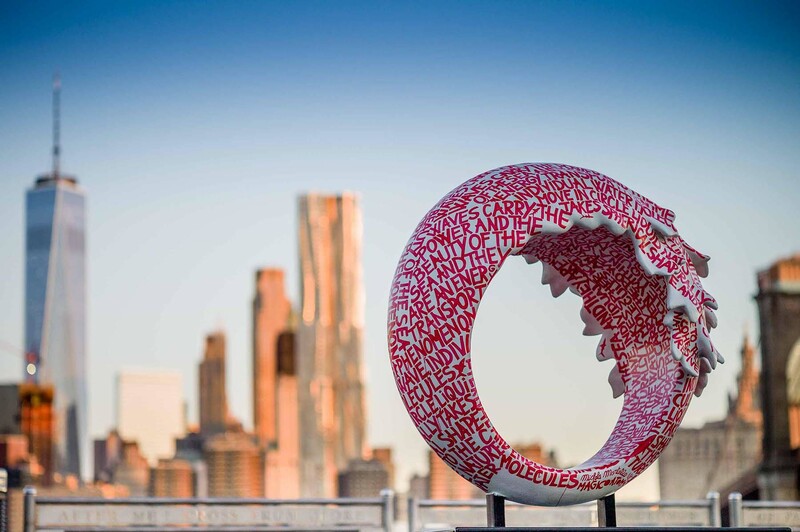 The 54 wave sculptures were on display throughout the five boroughs of NYC from mid-May through mid-June 2017 to commemorate United Nations World Oceans Day. 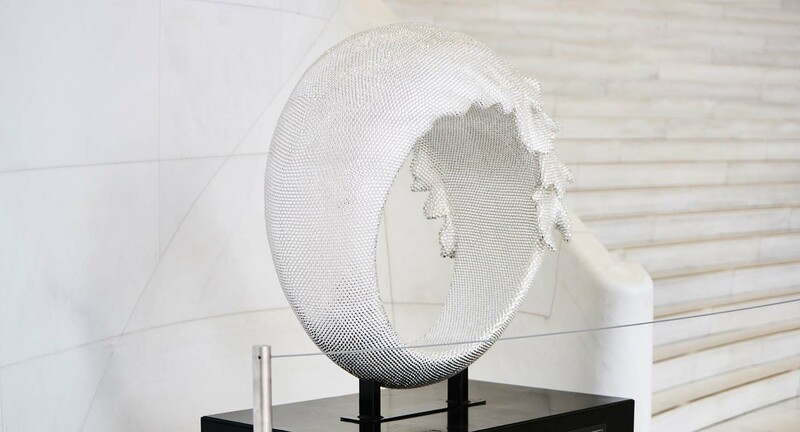 Some of the artists featured include Julian Schnabel, photographer Bruce Weber, fashion designer Vivienne Westwood, Brooklyn-based artist Dustin Yellin, the musicians Slash, Rufus Wainwright, entrepreneur Richard Branson, Queen Noor of Jordan, model Cara Delevingne, and actress Sienna Miller.